MUMBAI: Apni Shala, an organization founded by alumni of the Tata Institute of Social Sciences, Mumbai won the inaugural Eduprenuer Questcompetition. 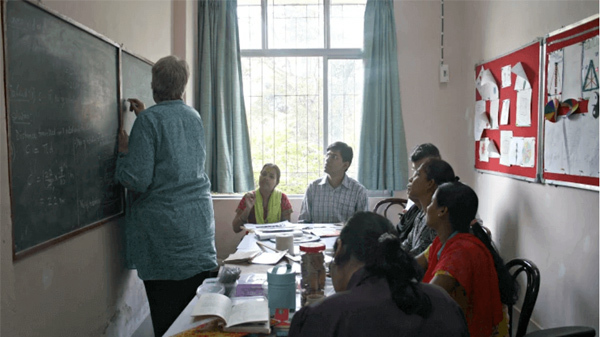 Apni Shala works with schools to build life skills in children through storytelling. Edupreneur Quest, a partnership of Teach For India (TFI), Central Square Foundation (CSF) and Villgro Innovations Foundation, is India’s first business plan competition for entrepreneurs designing solutions to improve access to quality education among marginalized communities “The run-up to this has given us the chance to think through various aspects of our venture plan. There’s always lots to learn from listening to people pitch,” said Amrita Nair from Apni Shala. Members of Apni Shala include Amrita Nair, Anukriti Goyal and Swetha Ranganathan. Central Square Foundation and Villgro Innovations Foundation are now considering each of the seven finalists for their Entrepreneur-in-Residence programmes. “The intense clinics that were held through the selection process were just one of the many unique aspects of this programme. Finalists can expect to be fast-tracked for evaluation into one or more of Villgro’s programmes,” said PR Ganapathy, COO of Villgro. Runners up were Kalpana Aravamuthu, Nomita Sikand, and Reena Johnson from Team Wrighters of Azim Premji University, Bangalore. They are developing multi-lingual literacy modules for schools in Bangalore. The two month application process kicked off in February and the initial thirty-one teams were whittled down to seven, which presented at the final event held on Saturday, April 27 in Mumbai. TFI, CSF, and Villgro jointly forged this partnership as a means to promote social entrepreneurship among India’s brightest aspiring leaders who are passionate about working in education. “Edupreneur Quest represents more support for really strong entrepreneurial ideas that promise to have serious impact. With guidance and financial support, the strongest ideas will get the impetus they need to thrive,” said Shaheen Mistri, CEO, Teach for India. The competition was open to current and alum fellows of Teach For India and Kaivalya Education Foundation, M.A. candidates and alumni in Social Entrepreneurship at the Tata Institute of Social Sciences, and MA candidates in Education or Development at Azim Premji University. “We launched Edupreneur Quest for identifying and supporting India’s next generation education entrepreneurs, and witnessed an enthusiastic response from the candidates. We hope to expand this opportunity to a wider audience in the next round and look forward to increased participation,” said Ashish Dhawan, CEO of Central Square Foundation.